There aren’t a whole lot of nationally available rideshare options outside of Uber and Lyft these days, but fortunately for drivers, there are a number of growing delivery companies. In the past, I’ve covered what it was like to sign up with DoorDash but today, we’ve got an article from RSG contributor Dash Bridges about how to really maximize your earnings while delivering for DoorDash. 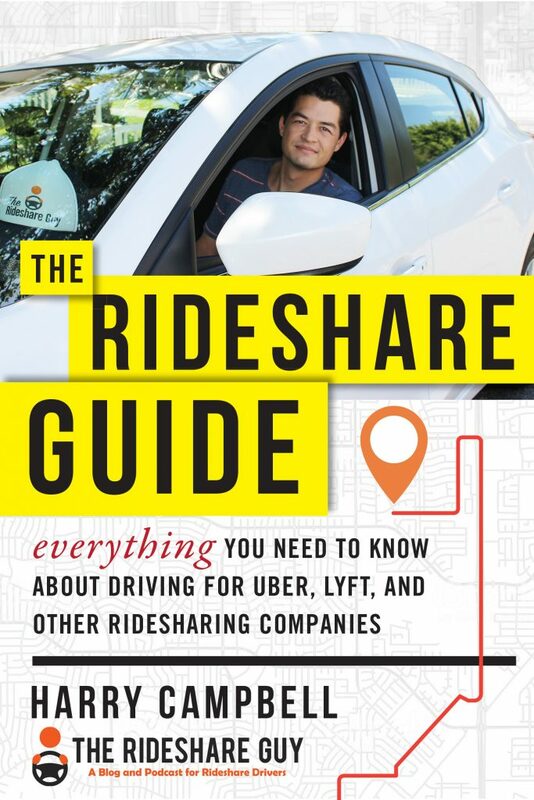 PS the best way to maximize your ridesharing and delivery income is to sign up for multiple services like Uber Eats, Postmates, and Lyft. That way when one of the apps is slow you can use another one. Or if you become suspended from one account you can use another one. 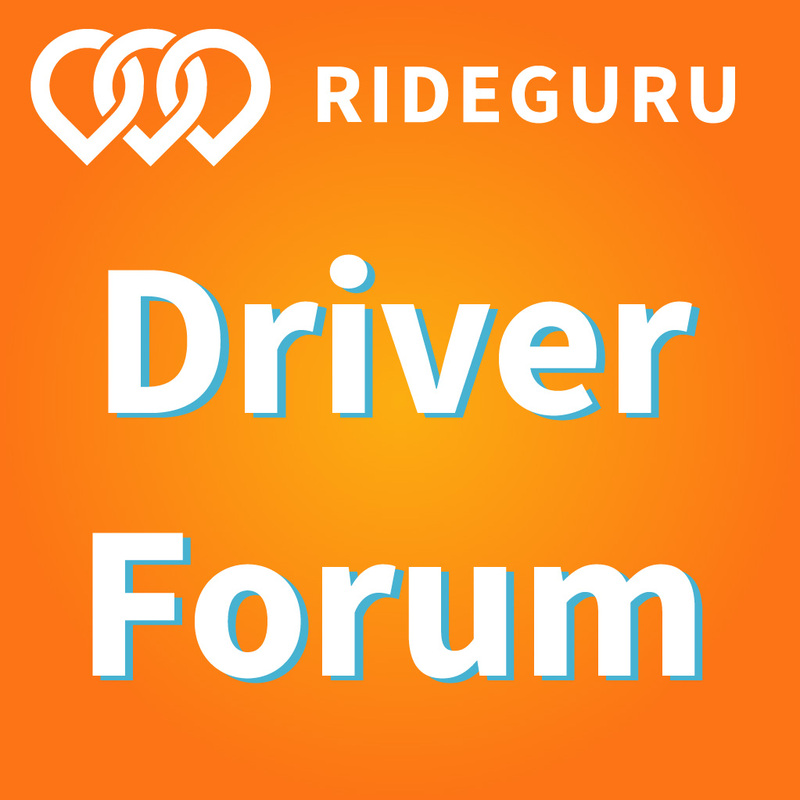 Click here to sign up for more rideshare and delivery services. Hey Rideshare Guy readers, over the past year, I’ve logged 900+ deliveries over nearly 500 hours driving for DoorDash. Along the way, I’ve picked up quite a few tricks of the trade. My goal is to share my experiences and help you maximize your earnings while working delivery. So with that in mind, welcome to Dashville! My background: DoorDash is my side gig. I’m an operations manager for a networking hardware manufacturer here in Silicon Valley. I’m sure that job sounds exceptionally glamorous and lucrative, but I can assure you it’s not. DO YOU KNOW WHAT HOUSING COSTS ARE HERE IN THE SF BAY AREA? Exactly. So, needing additional income, I signed up for DoorDash through a Craigslist ad. These days, I spend a couple of weeknights and Sunday evenings making deliveries for extra cash. Although I sincerely enjoy dashing and its change of pace from my day job, make no mistake, I am here to MAKE MONEY. When I dash, I’m serious about it. I’ve got 3-4 hours to hustle. Get in. Make money. Get out. Go home! 1. A flat amount paid for each delivery, regardless of distance or order value. Sure, you can earn money through bonuses or referrals, but specifically as a Dasher, these are going to be your two main income sources. When I began dashing, I started a detailed spreadsheet (I’ll share it in my next post!) of my territories, time worked, deliveries, 5-star reviews, delivery pay, tips, mileage, etc. After reviewing the stats, I started noticing a couple big trends. Some food delivery companies pay an hourly wage to their drivers, regardless of order quantity, but DoorDash is delivery based. This means the more deliveries I make, the more $6.00 fees I collect. Therefore, I need to turn orders around as quickly as possible. Get to the restaurant. Get the food. Deliver food. Repeat. Historically, I’ve averaged 1.9 deliveries/hour. Knowing this, it’s my goal to average two deliveries per hour, or 30 minutes each. Here are some ways I compress my delivery times in order to squeeze in an extra delivery or two per shift. Need a car to deliver food (or people)? 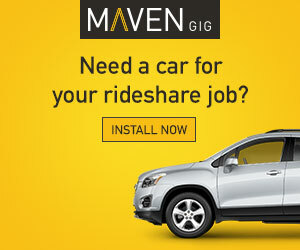 Check out Rideshare Rental (only in LA currently) to rent a rideshare vehicle and get on the road! I dash when it’s busy. Duh, right? This one is obvious, but if you’re a part-timer like me, waiting 10-30 minutes between orders kills your earning potential. Dash during the heavy ordering times, specifically dinner, around 4:30pm-9:00pm. There’s a shorter sweet spot during lunch (11:00am-1:00pm) but it’s usually pretty busy/lucrative too. I’ve never dashed during breakfast, but I hear it’s a waste of time. Weekend nights tend to be more lucrative than weekdays. Still, they’re not noticeably better than weekdays, and my stats tell me every day of the week has good dashing potential. Remember to trust Google Maps. Take the exact route Google Maps tells you to take. Google Maps is smarter than you. Apartment complex directories are your friend! DON’T hop out of your car and just start looking. You wouldn’t believe the strange logic of some building numbering systems. I practice ‘creative parking’. When picking up from restaurants in popular downtown locations, parking can be a bear. So, I’ve been known to bend local parking laws in order to get a quick or close spot. Loading zones, red zones and ‘parking for customers of XYZ company only’ are all spots that I consider when parking. My thought process is always, “Is a cop going to see this in the next 5-10 minutes? If they do, are they going to care?” Much of this decision-making depends on the restaurant proximity and my experience with their wait times. If the questionable spot is within a half block of a restaurant that typically has food ready when I arrive, I’ll go for it. Pizza places are notoriously slow, so I’d be less likely to risk it if I’m picking up from there. I fully understand the risks I take to save a few minutes here or there. Also, I want to clearly state that I DO NOT park in accessible spots or in private driveways or double-park. It’s one thing to take a risk with parking illegally, it’s another thing to be a bad citizen. If I look nearby and still don’t have a legal-ish option, I’ll cede the nearby parking lots to the masses in favor of parking farther away and walking the extra distance. Plus, exercise is good for you. If you are worried about the risk and costs of parking tickets while doing delivery, Caviar is a delivery company that has a parking ticket reimbursement program for every 100 deliveries that you do. They also pay based on the work involved for each order instead of a flat fee, and offer premium pay for orders via “Peak” pay that is scheduled up to a week in advance. You can sign up to deliver with Caviar here. Since the tip is added on when the customer places the order (Postmates prompts customers to tip after the order), my (hopefully) stellar personal service won’t have any bearing on my tip. So, I’ve gotta play the percentages based on the types of orders I receive. What orders will tip best? Obviously, larger orders lead to larger tips. If a family places an $80 dinner order from Cheesecake Factory, there’s a good chance Mom & Dad are thinking, “we don’t have to pack up the kids, don’t have to park, no waiting to be seated, no server to tip, so convenient!” This convenience factor adds to the already high dollar value of the food itself. Chances are, this type of order is going to tip well. When you accept your DoorDash order, you’re committed to it AND you’re unlikely to receive additional orders until you’ve completed the order. Each time you receive a DoorDash order request, the app tells you the restaurant, order value and your current distance to the restaurant. It also provides a map showing your location, restaurant location and delivery location as well as a 60-second timer for you to decide if you want to accept or decline the order. I think DoorDash corporate intended to provide this information in case you had to decline for any number of traditional reasons, like, “I’m at the end of my shift,” “The delivery is in a distant/unsafe area”, etc. BUT… I can choose to decline the order because I’m betting I can get a more lucrative order within the next few minutes… ESPECIALLY if we’re in a busy dinner rush. This order below is an automatic decline for me. No way am I spending any amount of time for a $5 food order. Considering the value and the distance driven (the 5.0 miles reference is only to the restaurant and doesn’t count the delivery distance – probably another 6-8 miles to the spot near the top left corner of the map), I wouldn’t accept this order if it were 6pm on a Sunday. Instead, I’d gamble that I could decline this order and get a closer, higher-value order within a couple of minutes. However, considering this order came in late in the evening (notice the 9:56pm delivery time), you’re unlikely to get a better order this late. So I’d accept it. DoorDash delivers until 1:30am. Late in the evening, your restaurant options are basically fast food and Wingstop. These orders are typically in the $8-$12 range. Late at night, forget the tip considerations. That’s when you go for volume and hopefully you can get extra orders… especially if there are fewer Dashers on the road to accept those orders. Dash when it rains. People are SO HAPPY to avoid going out in the rain. Unfortunately, it doesn’t rain in California anymore, but on those odd days it rains, tips noticeably increase. Dash during live sporting events, particularly involving your home team. People watch games together, so orders tend to be larger. I CLEANED UP during Golden State Warriors’ playoff games. Conversely, non-game days were dead. So if the Warriors played on Tuesday and Thursday, those nights were phenomenal. The Wednesday in between was dreadful. On a national level, Sunday Night Football nights are GREAT. Of course, tip profiling is an art, not a science. I’ve read dozens of Dasher social media posts about getting a $2 tip on a $200 order, or getting surprisingly generous tips when they least expect it. In closing, I hope my suggestions boost your DoorDash hourly earnings. I enjoy dashing and appreciate the opportunity to share my observations. 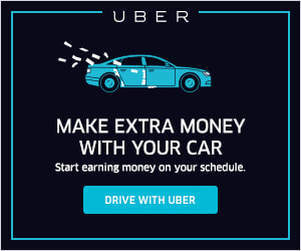 So go earn some extra cash and please drive safely! If you’re interested in signing up for DoorDash and seeing what the experience is like for yourself, please click here. Don’t forget you can (and should) increase your earnings potential by signing up to deliver with Postmates too! The best way to maximize your ridesharing and delivery income is to sign up for multiple services like Uber Eats, Postmates, and Lyft. That way when one of the apps is slow you can use another one. Or if you get suspended from one account you still have the others. Click here to sign up for more services. Readers, what do you think of DoorDash and do you think you’d enjoy delivery driving?